How to subscribe to Agendrix and make payment. 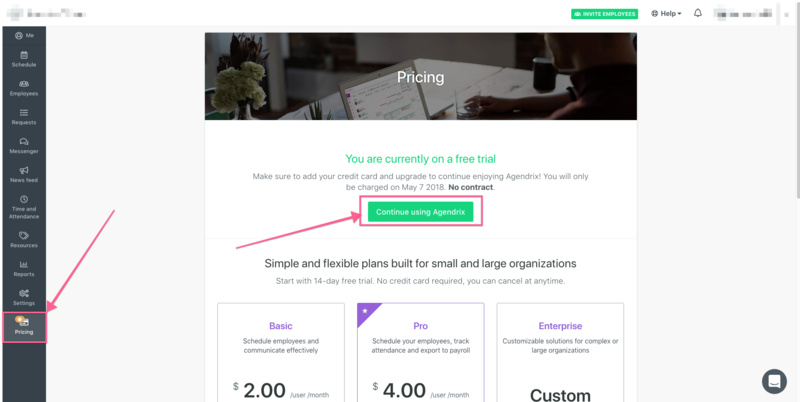 Your Agendrix account will revert back to free mode, meaning you will lose all paid functions like connected employees and month view (All your work will be saved if you want to activate it later, though). To dodge that bullet, you will need to activate the subscription. No worries if it doesn't work out for you after some time, we have no contract! If you are still on trial, you will not be billed until the end of it. You can therefore fill in the billing form whenever you want! You will be asked to fill in your credit card information as well as being informed of all the relevant important information regarding your subscription. Green square : Credit card information, same as usual 👍. Step 3 : Enjoy Agendrix! 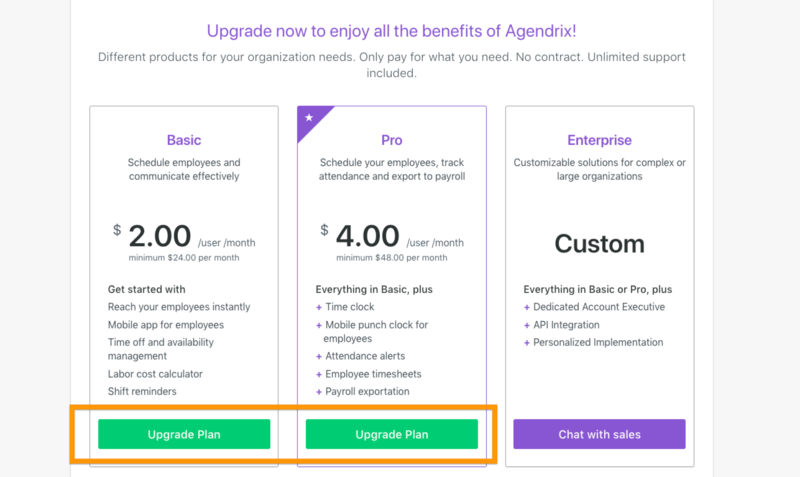 You are now subscribed to Agendrix 🙌 and will receive an email confirmation shortly! 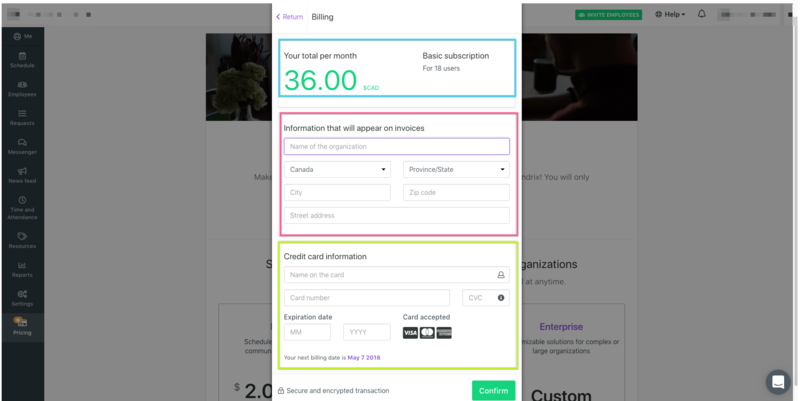 All of your future invoices will be sent directly to your email.